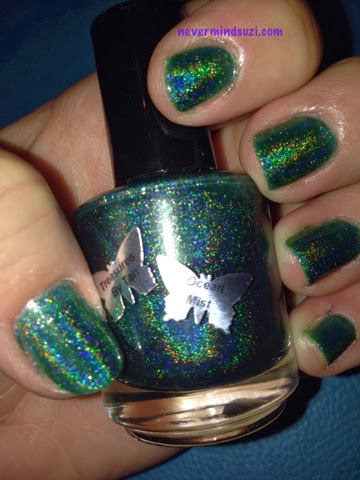 I'm finally getting on the Holographic trend, and it's no wonder when you look at these amazing polishes!! 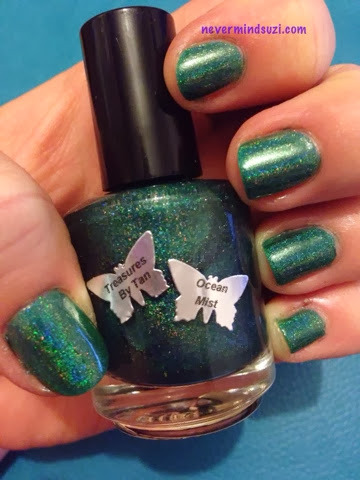 Treasures by Tan is an amazing teal polish, just look at it, words are not enough! 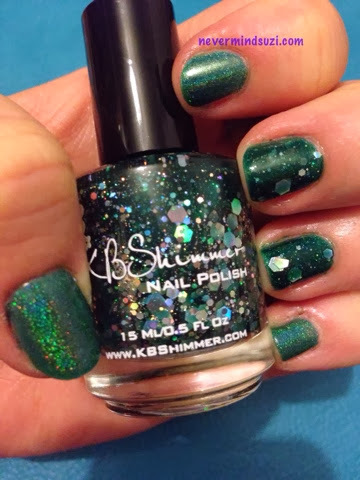 I decided that this would be the perfect polish to team, with KB Shimmer - Green Hex & Glam by Kayla Shevonne, which I won in Kayla's blogiversary. 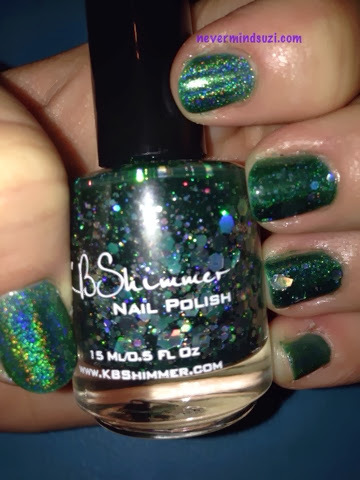 A green jelly full of silver glitter and sparkle!! This combo was a real eye-catcher!